At some point in our lives we find the need to change. This change can come in many different shapes and sizes. The reasons for change may include: for personal reasons, for someone else, because of a significant life event, to motivate others, to be an example, forced to and many others. The word change can create a variety of emotions. Those emotions are what really impact whether change will occur. If we are forced to change, it can be difficult to accept. We may feel frustrated, angry, powerless, scared, fearful and other negative feelings. These feelings are often the result of having to be reactive to change. On the flip side, when we have the choice to change, we my feel emotions such as excitement, energy, empowered, peaceful, happy and other positive feelings. These feelings are what often drive us to reach our goals and make real, sustainable change. Although the word gets used most often, it is important to understand other words that can mean change. The reason being is that want to be able to identify when we are making progress towards our goal that include change. 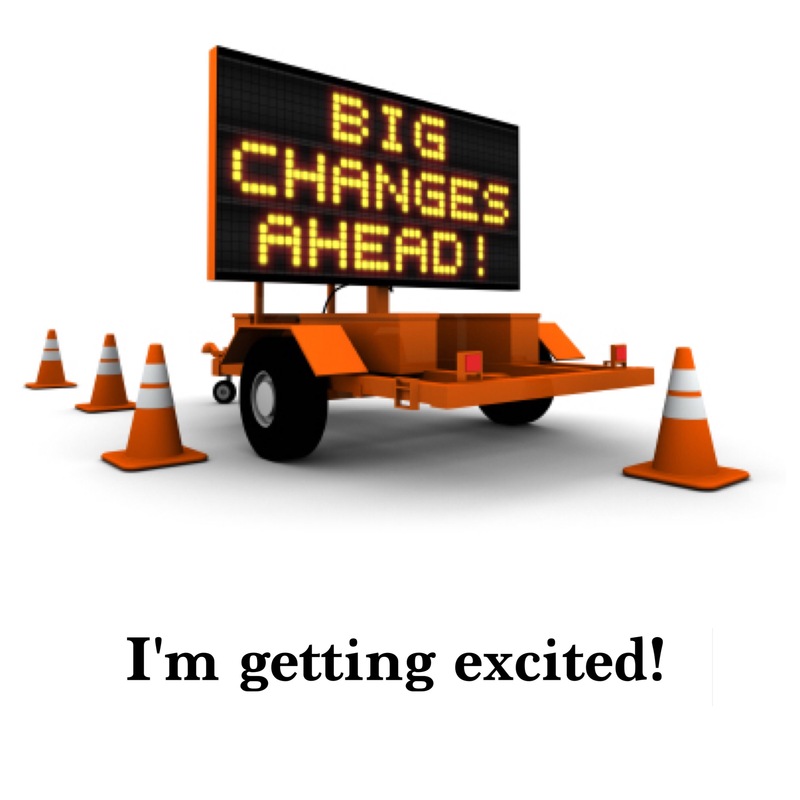 When we hear or read “Change Ahead” more often than not the focus is referring to a physical change. It means someone is about to embark on making important changes in their life that will have positive and lasting impacts. When we know that someone is striving to achieve these types of goals, we should find ways to be supportive. These types of changes can often be the toughest and the easiest to give-up on which is why support is needed. I hope you will be proactive in supporting others who are willing and working towards making positive changes in their life. You never know if your support and encouragement might be exactly what they needed to keep them going.